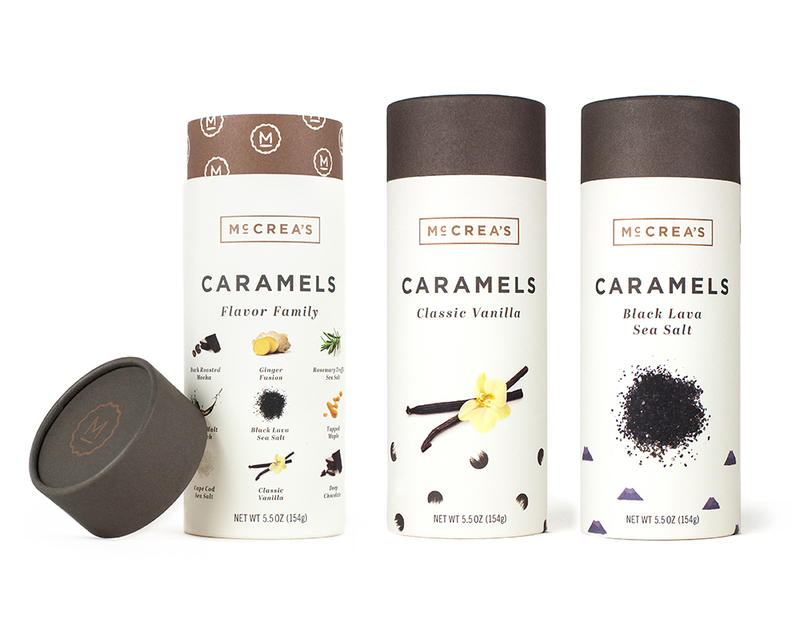 After five years in business, McCrea’s Candies, a small, family-owned company that specializes in painstakingly crafted gourmet caramels, knew its brand and physical packaging were in dire need of a refresh. With all-natural ingredients and a handmade touch, McCrea’s caramels are in a quality class all their own, especially when it comes to taste. On the shelf, however, its generic branding put McCrea’s on par with low-quality drug store brands. Simply put, the product inside deserved better than the package surrounding it. Though all of McCrea’s caramels are homemade, the owners didn’t want their branding to feel the same way. 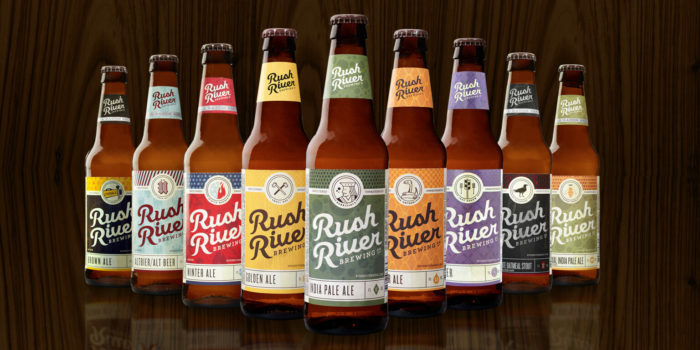 The existing brand and packaging was functional, but wasn’t connecting with McCrea’s target audience. The team knew their product was as good as any upscale caramel on the market, so the new packaging needed to elevate McCrea’s to a level where it would fit in with the other gourmet candies on the shelf, yet still stand out from the crowd. Changing the packaging isn’t as simple as updating the visuals, however. When the packaging design changes, the package manufacturing process has to change as well. As a company that does all of its own packaging on site, McCrea’s needed a solution that would be versatile enough to accommodate a variety of different caramel quantities, sizes and flavors without breaking the bank. We started the process by flying out to Boston to meet with the McCrea’s team and, naturally, sample a few of their caramels (purely for research purposes, of course). The owners knew some big changes needed to happen, and it would all begin with a more defined mission and better brand messaging. Working from a place of mutual trust and collaboration, we honed in on what sets McCrea’s apart from its competitors. Then we translated that into a comprehensive and cohesive strategy for the brand and packaging. While the vast majority of candy companies use extracts to flavor their caramels, McCrea’s relies entirely on 100% all-natural, real ingredients. The new branding needed to reflect this commitment to hand-crafted quality without coming off as too “hippie” or homemade. To achieve an upscale, all-natural feel, we created simple, clean branding that places beautiful photographs of the raw ingredients front and center. 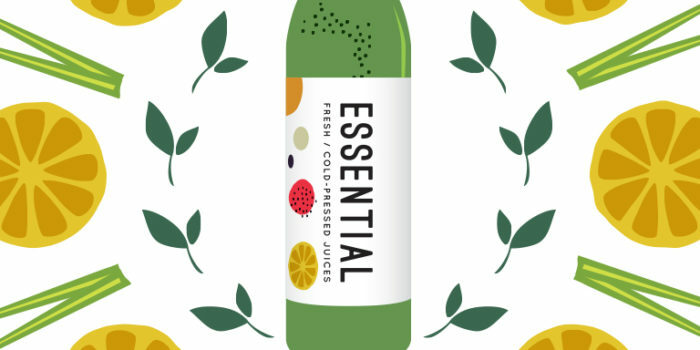 We also updated the copy on the website and packaging to embody the new brand and connect with McCrea’s ideal customer by conveying its unique selling points. McCrea’s caramels make a statement by packing a huge pop of flavor into the very first bite. Playing off this concept, we incorporated surprise pops of color and pattern into elements of the packaging design. To maintain consistency, we created a design system for all the different flavors so that each one follows the same basic layout (custom illustration, image of the raw ingredient, title, etc.). 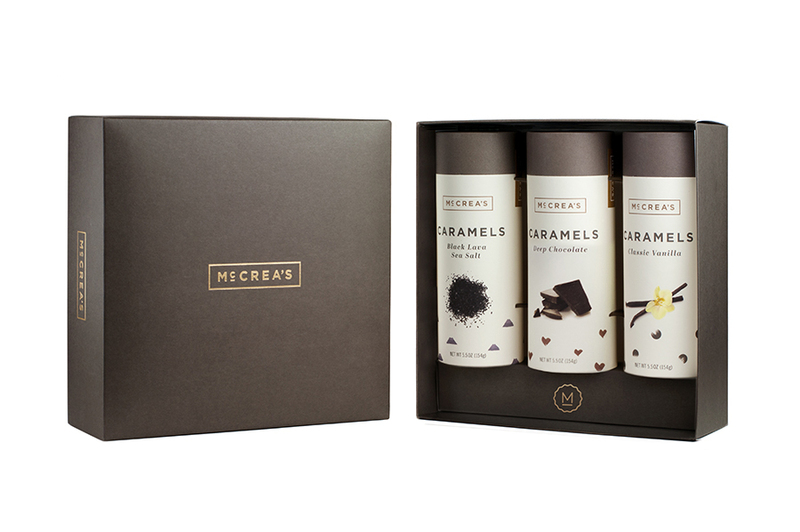 McCrea’s existing packaging clearly wasn’t hitting the mark, with some caramels packaged in flimsy, cheap-looking boxes and others in heavy wooden crates. 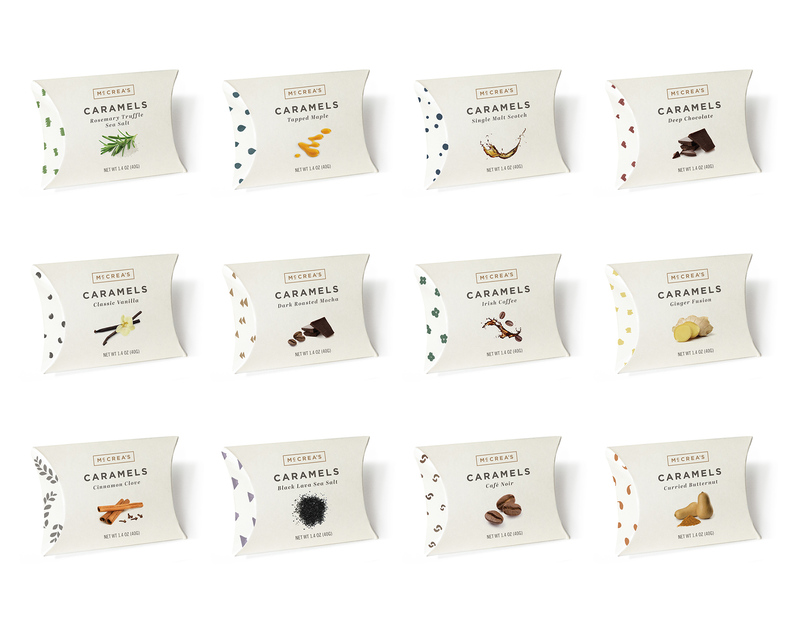 The caramels are sold in multiple different assortments and quantities. So, to cut down on costs and encourage brand consistency, we created one base box that can be slightly modified to accommodate four different packaging needs. Now, instead of having to manufacture three separate containers, McCrea’s can simply swap out the label and add a few dividers to the same box. We also helped guide McCrea’s through the production process, researching potential manufacturing vendors and providing all the materials and digital files they needed to get the ball rolling. By all accounts, McCrea’s packaging redesign and rebranding was an instant success. Right out of the gate, high-end companies – like Starbucks – took note of the new look and began inquiring about possible partnerships. McCrea’s mission is simply to “make the world’s best caramel.” With the power of this clean, stunning new design backing the shockingly good quality of their candies, they now have a look almost as good as their taste.